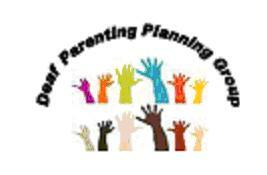 The Deaf Parenting UK is working in partnership with social services, Deaf and mainstream parenting organisations to identify gaps in information/ services and find ways to improve them for Deaf parents, especially around parenting skill course. A big thanks to the Deaf Parenting Planning Group for their support and initiative in making this project happen. 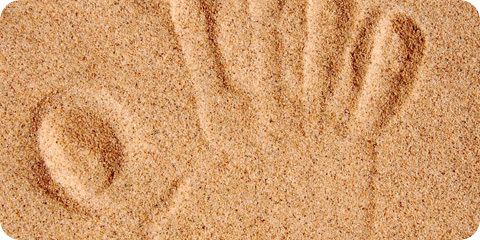 The Deaf Parenting Planning Group consists of a positive partnership of social services in South East London, Deaf Organisations including Deaf Parenting UK, deafPLUS and Deaf Access. With their support and funding, two pilot courses were great successes and the Deaf Parenting Planning Group has agreed for Deaf Parenting UK to take the lead in rolling more courses across the country. An Email Group for Deaf parents and professionals/ services providers. Now new forums via website. To join, please log online on www.deafparent.org.uk or contact Deaf Parenting UK. Produced and distributed an informative and powerful video ‘Deaf Parents: Gaps in Services’ (2001) to all Deaf parents and professionals. The video aimed to inform Deaf parents of their rights as parents under the Disability Discrimination Act (DDA) and Human Rights, raise awareness of gaps in information/ services that service providers would find them a challenge under the DDA. European Deaf Parents Conference in Denmark. Sabina wrote a book on Pregnancy & Birth: A Guide for Deaf Women, which has been launched at the DPUK’s Deaf Parenting Conference in partnership with RNID, RAD and DPPi during Deaf Awareness Week, May 2004. This book is the first ever of its kind for Deaf parents in UK and possibly in the world. Book is available for order from Forest Book shop. www.Deafparent.org.uk with useful links to Deaf organisations and mainstream parenting organisations. The website went through a recent makeover. Deaf Parenting UK worked in partnership with DPPi on Pregnancy & Birth DVD, an award-winning DVD together with accessible factsheets for Deaf parents & professionals. Deaf Parenting UK continues in working closely with DPPi’s helpline in dealing with enquiries from Deaf parents and professionals working with Deaf parents. Deaf Parenting UK was involved in advisory capacity in liasing with BBC in making their documentary about a couple expecting their first baby. We have run successful pilot courses in Autumn 2004 and carried out consultation events with Deaf parents with children age 0-9yrs and Deaf parents with teen. Since then, we ran successful DPUK courses on Deaf Parents with children aged 0-9yrs old and Deaf Parents with Teens. We have a pool of Deaf Trainers in partnership with Parentline Plus and hope to roll the Deaf Parenting Skill Courses out further across UK. Please contact DPUK for more details. ‘Training the Trainer’ pilot course in partnership with Parentline Plus– we have received several applications from across the country to be trained as DPUK trainer in partnership with Parentline Plus. DPUK Trainers have completed the courses and hopefully roll out running parenting skills courses in their local areas. Please contact DPUK for more details. We have received lots of enquiries & demands for 1:1 support which we have successfully provided. We work closely with service providers and ensuring that supports are tailor-made to meet individual needs. To learn more, please contact DPUK. DPUK issued its first quarterly newsletter in April 2006. The second edition was issued in the summer and both newsletters have been very informative, aiming to attract Deaf parents, parents to be and professionals. Newsletters have been distributed by electronic mail via the Deaf parenting e-group, which has approximately 120 members, hard copies also available on request and distributed as or when applicable. Newsletter is available free for members; click here for more information on membership.